Culver Lady Dawgs basketball crushes Chemawa Braves 41-23, Heppner Mustangs 54-40. The Culver Lady Dawgs kept things rolling with another win on Dec. 15. Culver traveled to Heppner and defeated the Mustangs 54-40. Even with point guard Mia Gamoa in foul trouble and playing limited minutes in the first half, the Lady Dawgs were still able to go into halftime with a 32-18 lead. They scored 20 points in the second quarter. Culver kept its lead in the third quarter and played hard, having a 42-27 lead heading into the last quarter of play. Heppner was able to cut Culver's lead down to 10 points with around three minutes left in the game, before Kianna Webb was able to hit both of her one-and-one free throws. "To me that created how the game was going to end," head coach Scott Fritz said. "If she missed those and they score, it is now an 8-point game instead of a 12 and that makes a big difference in how the game ended." Gamboa was also able to make a pair of free throws late in the game and the Lady Dawgs would hold on to beat Heppner 54-40. "It was a great effort and I really commended them at halftime and after the game for everyone stepping up," Fritz said. "Mia (Gamboa) is our general out there and really our only true point guard and to go a quarter and a half without her and build a lead, they all deserve credit." "Heppner has a stud player of their own and we put Mikayla Haessler on her and she did a great job," he said. "Most of her points came from rebounds or free throws. Mikayla had an outstanding defensive game." Irma Retano recorded another triple double for the Lady Dawgs. She ended the night with 19 points, 12 rebounds, 10 steals and three assists. Haessler and Gamboa both added 10 points each and Kiana Webb had 6 points, four assists and four rebounds. "The team was able to step up and that was a great win," said Fritz. "That Blue Mountain Conference is good and if I were to bet money, Grant Union and Heppner will be the No. 1 and 2 teams out of that conference and we now beat them both. That is going to go a long ways for us in the ranking as the year goes on." "Our league is looking like we are going to be the toughest one in the state," he said. "As of right now, we have four teams in our league ranked in the top 10, so we need to be high in the ranking." As of Dec. 17, the 7-1 Culver Lady Dawgs are ranked No. 8 in the OSAA ranking. They are in the Tri-River Conference and Kennedy (8-0) is ranked No. 1, Santiam (4-2) is ranked No. 3 and Western Christian (3-2) is ranked No. 7. 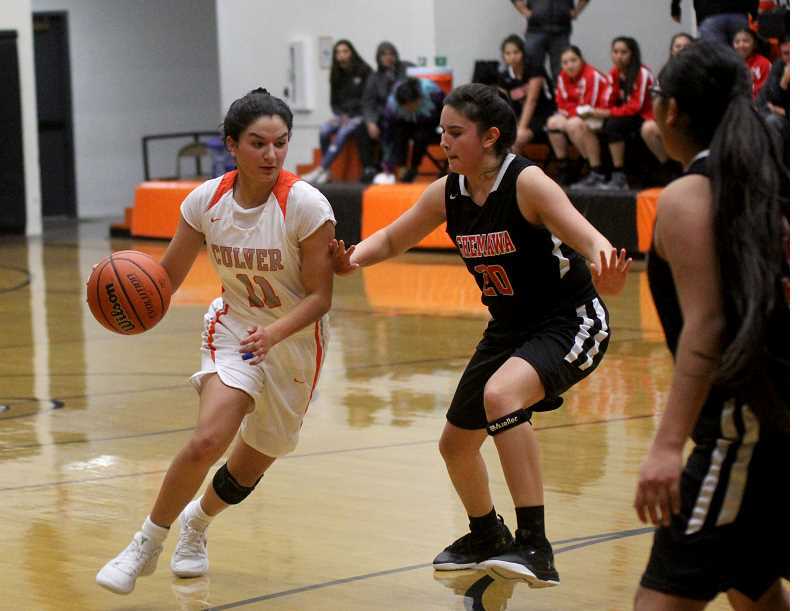 The Culver Lady Dawgs kept their hot start going with a league winner over Chemawa Dec. 13. Culver had a slow start to the game, only up 18-12 at halftime, but the Lady Dawgs came out strong in the second half, coming away with a 41-23 victory. Haessler hit a jump shot to put the Lady Dawgs up 2-1 and later, scored on a fast break to gave them a 5-1 lead. The Braves were able to get closer in the game, only down 5-4 before Gamboa hit a 3-pointer extending Culver's lead to 8-4. The Lady Dawgs ended the first quarter up 8-6. Chemawa took their first lead of the game when Alex Howard was able to knock down a 3-point shot for the Braves. The basket was answered by a tough drive and finish by Retano. The Lady Dawgs were down 12-10 before going on a 8-0 run to end the second quarter. With a three by Gamboa, some free throws and a finger roll lay-in by Retano, Culver went into halftime up 18-12. It took four minutes for any team to score in the third quarter, but only took Retano one minute to score 8 points by herself. Webb found a cutting Retano for a lay-in and the next possession Retano drained a deep three and got fouled. She made the free throw for a 4-point play. She then grabbed an offensive rebound and scored on a floater, making the score 26-12 in favor of Culver. Haessler scored on an inbounds play and later, Gamboa found a hustling Madison Miller on a fast break, The Lady Dawgs took a 30-15 lead to end the third quarter. To start the fourth quarter, Retano blocked a Chemawa 3-point attempt. The block led to a Retano assist to a sprinting Webb for a lay-in. Head Culver coach Scott Fritz called for a pick-and-roll between Gamboa and Retano, which was executed perfectly. Retano set the screen and Gamboa gave a perfect pass to a rolling Retano. She caught the ball and made the lay-in while getting fouled. The score was 35-18 before Retano would catch the ball on a baseline inbounds pass and drive to the hoop. On the next play, Retano was able to find Gamboa for a fast-break score. Gamboa scored again at the end of the game, that time on a drive of her own. The Lady Dawgs would beat the Chemawa Braves 41-23, outscoring the Braves 24-11 in the second half. "Our plays weren't really working," Retano said. "We ran a zone play specifically for zone defenses, but we ended up going to a four-out-man type play, which worked better. I think we were a lot more calm in the second half, rushing things to much in the first half." "I was in foul trouble and we laid off the press for a bit, which kind of messed with our game plan," she said. "On defense, we were aggressive again in the second half and were able to push the ball upcourt a lot better." "This was an important game for us, it was the first game in league," said Retano. "We could have done better, but we held a team to 3 points in a quarter (third), so that was pretty cool. We need to keep pushing hard and come out stronger next time." Retano led the way for Culver with 20 points, nine rebounds, three assists and two steals. Gamboa ended the night with 11 points, four rebounds, three assists and two steals. 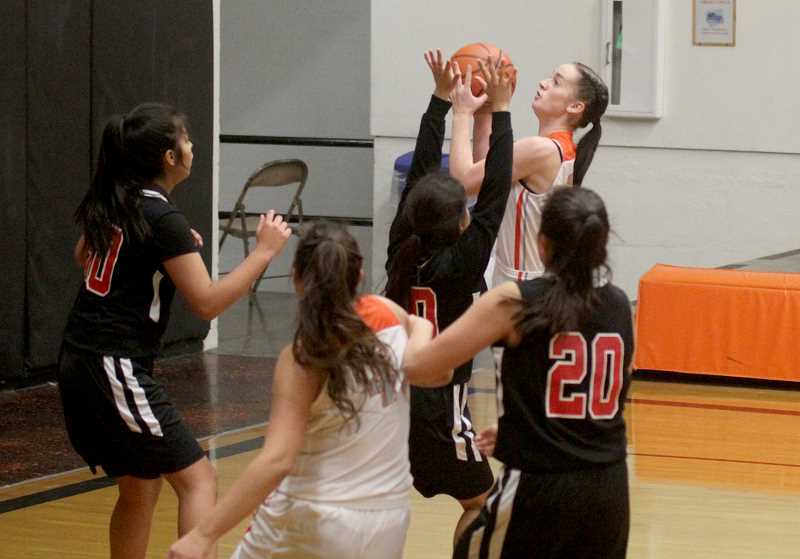 Haessler was able to score 6 points and grab four rebounds for the Lady Dawgs and Nena Mendoza and Ryanne School combined for 10 rebounds. 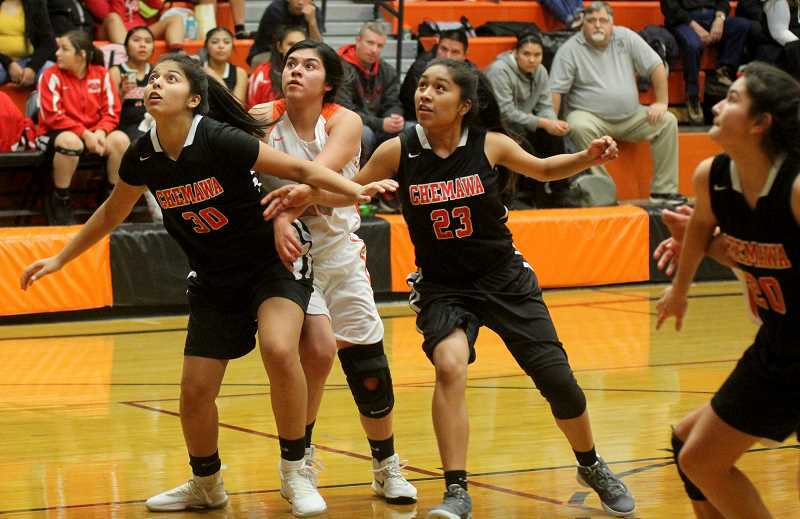 "I will give a shoutout to coach (Fritz) because all summer long, he has been helping me, since spring actually, three times a week," Retano said about her scoring this year. "I think that has helped both my shooting and dribbling. If we were in the same league as last year, the teams would be shook because they would be, like oh my gosh she can shoot now. All last year teams would pack the middle because I could not shoot or dribble." The Lady Dawgs have a home game against the 4A Sisters Outlaws on Dec. 19. The Central Oregon showdown will start at 5 p.m. They also have a home game the following day, Dec. 20, against 3A Taft. That game will start at 4:30 p.m.